When I first started in my home based business the first thing I was told to do was make a list of prospects. Frankly, it was very easy to make the list and start exposing people to my opportunity. Over the years my list of prospects continues to grow every week and I have plenty of people to talk to. So how do you grow a list of prospects and never run out of people to share your opportunity, products or services with? You can find them in these 9 different sources. Some I recommend and others I don’t use at all. 1) Warm Market. If you believe in something you are more likely to share it with others. When you go to a good restaurant or a good movie, we inevitably tell our family, friends, neighbors and co-workers about our experience. I want you to think about the last great movie you saw. That week you probably told some people about that movie, didn’t you? Well, let me ask you a question. Did that movie theater send you a commission check for referring and telling others about that movie? Probably not. So if you believe in your products, services and your opportunity, why would you not tell your prospects about what you are doing? Your warm market is the BEST place to find prospects. You might be telling yourself, I don’t want to talk to them about what I’m doing, this is the 5th opportunity I’ve been in the last two years. I would say to this “Get Over It”. Finding prospects in your warm market is the best place to start because you already have a relationship with them. The more you work on your relationships and the better you become at understanding and dealing with people the bigger your business will be. Your warm market prospects can be your best people on your team because a lot of times these are the people that you want to travel and spend time with anyways. Starting and finding prospects in your warm market is in my opinion the #1 place to find prospects! That way they don’t come back to you later and say “Why didn’t you tell me about that?” Give them the first right of refusal! Someone else will eventually share your opportunity, service or product with them. You might as well be the first one! The “Sponsoring Process” is quicker because there is already an established trust, they already know you and hopefully they like you. Doesn’t cost you any out of pocket expenses! 2. Social Media- Connect & Build Relationships. When I first started in the industry finding prospects on Facebook, LinkedIn or Twitter was not even an option. Today, building your list can grow fast because of Social Media. If you can master some aspects of Social Media you will always have an endless list of prospects. Social Media can take your prospects to a customer or business builder in a shorter amount of time. This is a great place to reconnect, find old high school or college classmates, past co-workers, etc. Remember, build a relationship with them before you start unloading on them about your products, services of opportunity. Social Media is a great place to find warm market prospects that you have forgotten about and of course because of it’s power you can find new prospects who like what you have to say, do and offer. Spend some time in Social Media every day connecting with people. It’s perfect for Relationship Marketing, because you can build relationships even faster. Remember, your prospects have to like, know and trust you before they do business with you. Social Media can get them to that point even faster! 3. Attraction Marketing-Building Your Brand. I have a personal blog and I do a lot of video marketing to help build my personal brand to “attract” people that like my Leadership style and to give people in the home based business industry some relevant training and content. This is a great way to have people know, like and trust you very quickly as well. If you blog consistently and it has good content, over time people will gravitate and follow Leaders that they can relate to and they will follow Leaders who’s style of Leadership and Training better fits them. Here’s a warning though, getting initially started with a blog, attraction & internet marketing campaigns can take quite a bit of time. Being consistent in your content and finding the right tools to speed up the process can become very overwhelming for the average person. There are many tools that can make blogging and internet marketing easier to find prospects, but I only recommend blogging for someone who has been in the industry for awhile and is full time in the industry. Your day to day activity, should be working in your warm market, connecting with people on social media webistes and working the warm market prospects of your team and helping them succeed. Get counsel from your Success Team when is the best time to start a blog or attraction marketing campaign in your career. You don’t want to get distracted and away from your personal warm market prospects and the warm market prospects of your team. I stay plenty busy with my warm market and my team’s warm market. I work on my blog and training content during the non productive hours so it doesn’t take away my focus on the fundamentals of building my business. This is a key truth that you need to understand. Many of the top Attraction Marketing “Experts” all started out in their warm markets, then eventually added Attraction Marketing to their mix later. 4. Referrals. This is one of my favorite sources to find prospects because everyone knows of at least two people that they could refer to you even if your opportunity, products and services isn’t for them. 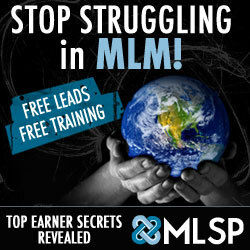 This is a whole training in itself and can give you qualified people very quickly! 5. 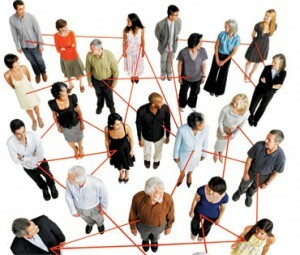 People with Networks. Connect with your Accountant, Insurance Agent, Real Estate Professional, etc. 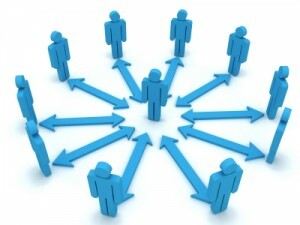 These people are always great sources to find prospects because they have access to hundreds even thousands of people. Tap into their network and you can find a gold mine. Once again, work on the relationship first. Be a professional and show them how they can benefit from your products, services and opportunity. They won’t open up their network of prospects to you until they believe in you and what you are doing! 6. Networking Events & Organizations. A great place to meet prospects that are Leaders is at Networking Events. When you go to these events don’t just go around and try to get every single person’s business card. Look for the people who are speaking and everyone else is listening to them. You will usually find them in the middle of the group. They are the Leaders and Connectors at that event. These are the ones you want to make a point to meet and start building a relationship with. Make sure to connect with them after the event immediately by making a point to have “3 touches” so they will remember you over anyone else. Here are three great “touches”; 1) A video email, 2) A text or voice mail and 3) A hand written note. If you connected with them at the event, this will put your connection over the top. Let me ask you a question, at the last networking event you attended did anyone make 3 more “touches” with you in the first 24 hours. I didn’t think so…this is how you separate yourself from everyone else and help your new prospects remember you! Joining a Business Referral Organization can help you find new business partners and customers. 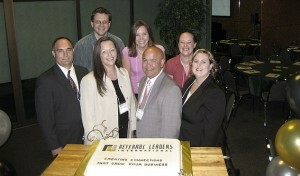 My top pick for a Business Referral Networking Organization is Referral Leaders International. CEO & Founder Timothy Chin is one of my best friends and his organization is ROCKING! If you want to start a chapter, send me a message and I’ll personally connect you to him. 7. Alert Living- Cold Market. When you’re doing life and you are out and about. You will run across sharp people Once again, be a Professional and build a relationship. At that moment of first contact it might not be the best time to fully connect, but at least pay them a compliment like they have great people skills, or you love how they handle people, or they communicate well and then set up a follow up time to invite them to see your opportunity or meet for coffee to learn more about them. With this market for prospects, because it’s more of a cold market (meaning low relationship) I would give them my Facebook or LinkedIn information so they can look you up and start getting to know you even quicker. Then of course, make sure to follow up. Here is a post I did that will help you follow up with people: A Follow Up System for $20 Dollars. 8. Advertising & Lead Generation- Print, TV, Social Media. Many people spend money on advertising for their business. I think there is a time and place for this. I think this should not even be looked at until later in your career and should be part of your overall marketing mix. But, once again this should be much later in your career. The average person doesn’t know how to do this effectively and should not be doing this activity. If you are new, find your prospects in your warm market first! 9. Buying Leads– Not recommended! I know some Marketers have used this source to build their business, however, I believe this is the worst place to find prospects for new people. There is no relationship, you can spend a lot of money, you have to spend a lot of time calling these prospects and you have to have a really good follow up system. This source of prospects will frustrate you because you will have to go through a large amount of people and money to find the right ones. As you can see, you should never run out of prospects for your home based business. When people tell me they don’t have people or prospects to talk to, it isn’t a problem of finding prospects. It’s their inability to build relationships. Focus on getting better at building relationships and understanding people and you will always have an endless list of prospects to share your business, products or services to.